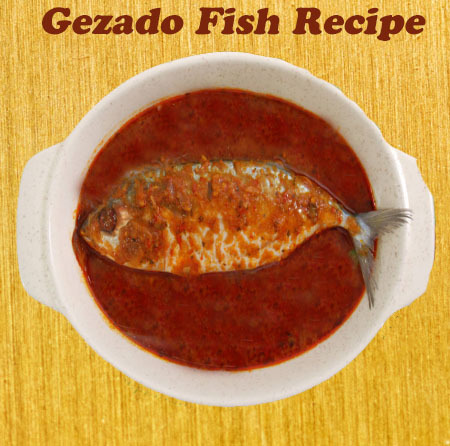 Gezado Fish Recipe is a traditional South Indian recipe, which can satiate your food cravings and make your parties even more special. It is an tasty easy recipe that doesn't take much effort from your side and can be made with a few ingredients. Prepared with protein rich fish coated in tomato gravy, tossed in a melange of spices, it makes for an mouth-watering main dish recipe. 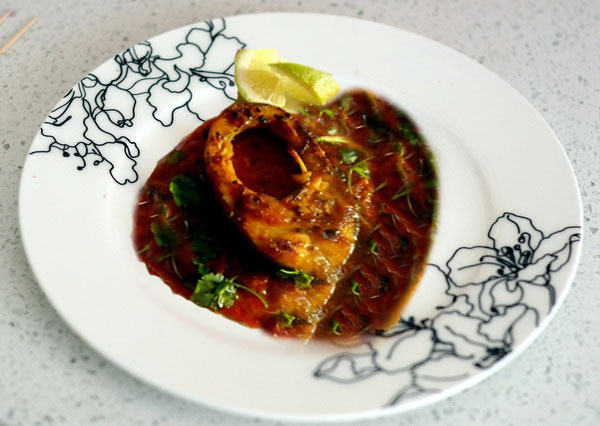 Serves with some rice or bread and parties, this non-vegetarian recipe can be enjoyed on occasions like buffets, kitty parties or potlucks and is sure to leave your guests craving for more.This lip-smacking fish recipe can be savored by adults and children, alike and is extremely healthy. Go ahead and try this simple tasty recipe in your next lunch or dinner with family! Start by seasoning the fish in a bowl with some salt. Keep it aside for about 10-15 minutes. In the mean time, in a grinder jar, add green chilies, whole red chilies, slit ginger, garlic, cloves, cumin seeds, black pepper, cinnamon, turmeric powder and vinegar. Next, pour the desired amount of water and grind the ingredients well to a smooth paste. Now, place a pan over medium flame, add some oil in it. Once the oil is hot and shallow fry the seasoned fish. Fry until the fish turns golden from outside. Now, in another pan and heat 3-4 tablespoons of oil over medium flame and add chopped onions, chopped tomatoes, ginger paste, garlic paste, garam masala powder and salt as required. Saute the spices well and then add 1/4 cup of water. Let this mixture cook over for some time and once it comes to a boil and reduce the flame. Next then add fried fish and make sure that it is coated with the grave. Now, add sugar and chopped coriander leaves. Stir the ingredients and cook for another couple of minutes. Once the gravy has turned thick then transfer it in a bowl and serve hot with rice or bread to enjoy!